Elvis has produced a number of winning offspring . 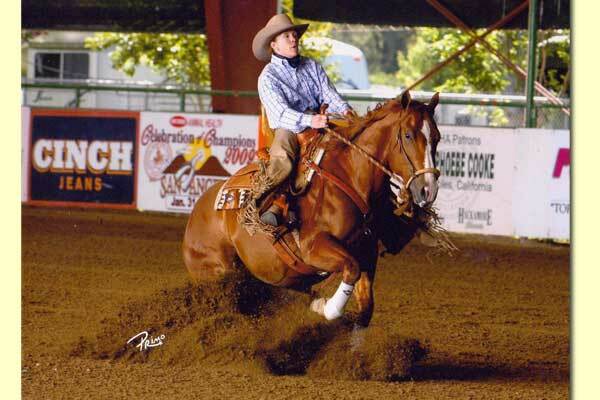 Rowdy Truckin Chex- a 2009 gelding by Elvis out of Bueno Rowdy Rosie. At the 2015 AQHA World Championship, Rowdy and Karen had four Top 10 finishes including; 3rd in Amateur Working Cow Horse L2, 10th in Amateur Working Cow Horse L3, 5th in Amateur Ranch Riding L3 and 9th in Open Sr Cow Horse, L2. 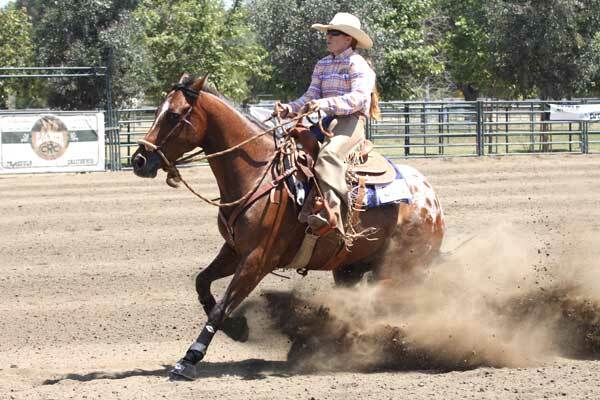 Star Time Truckin - 2005 gelding by Elvis out of an Appaloosa Mare raised by Shirley Macey. 2009 CRCA Non-Pro Derby Champion. Now being shown by Shantel Shaver winning 2013 Appaloosa Non-Pro World Champion Cow Horse and 2014 Appaloosa Non-Pro World Champion Cow Horse, 2014 Appaloosa Non-Pro World Champion Reining and 2014 Appaloosa Non-Pro Reserve World Champion Cutting. 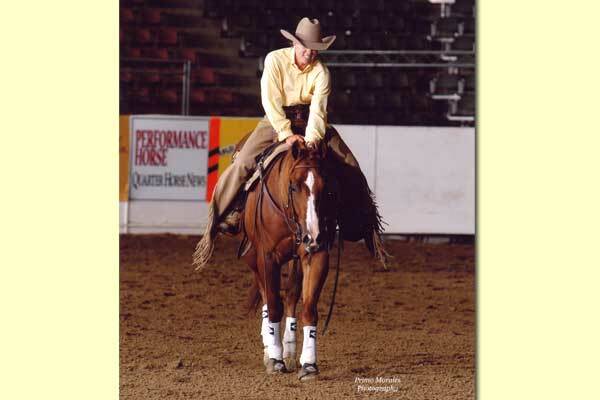 Sheeza Voodoo Doctor - Mindy, a 2012 mare, is Elvis’ grand-daughter, by Shiners Voodoo Dr out of Leapin Lindy Chex. Mindy and Karen most recently won the 2019 NRCHA Non-Pro Bridle World Championship and 2018 AQHA Amateur Level II World Championships, as well as being Level I Top Ten Finalists. Her lifetime earnings are ~ $20,000. Read the Article -> Family Legacy for World Champions Kevin and Karen Stallings. Cashin Nu Chex - Presley is the 1st Elvis baby to hit the ground, he was the 1st to show and the 1st to win. He won 3 CRCA Futurities, was a money winner at the Reno Futurity, won 3 CRCA Non-Pro Derbies and made the Finals for the NRCHA Derby. 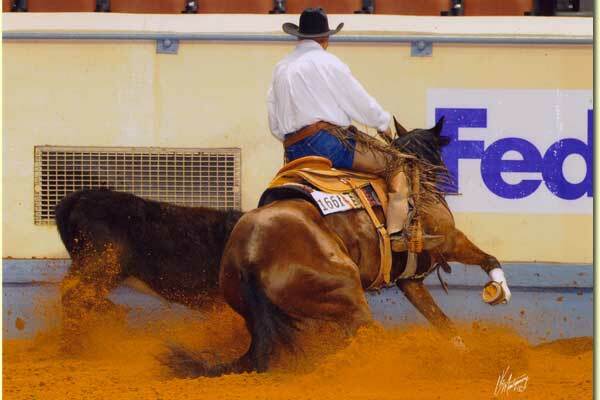 Truckin Chics Rule - 2010 NRCHA Derby Finalist and an AQHA World Show Finalist. She looks so much like Elvis and does her job a lot like him as well. Chexy Little Sister - 3rd at the 2011 AQHA World Show in the Amateur Working Cow Horse. Gary Lynn Olson now owns her and was Reserve World Champion on her in the Amateur Working Cow Horse in 2012, and is still showing her. Robbie Boyce showed her for us and was a finalist on her at the AQHA World Show in the Junior Working Cow Horse both 2010 and 2011. In 2011 and 2012 this daughter showed against Elvis in the Finals at the AQHA World Show in the Amateur Working Cow Horse. 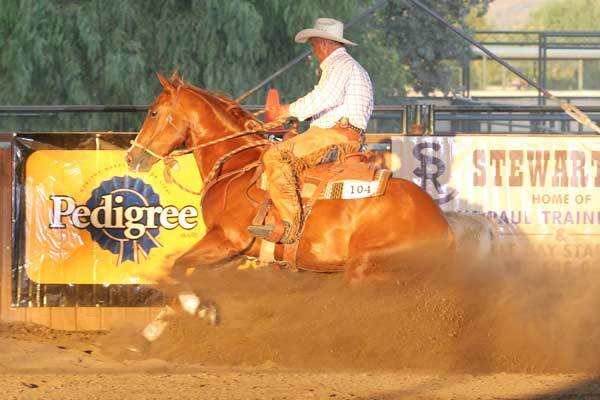 Chex Viva Las Vegas - won $10,328: NRCHA Amateur Futurity - 8th, 2011 CO RCHA Non Pro Derby Reserve Champion, ID RCHA Amateur Derby - 3rd, CO RCHA Summer Fun Non Pro Futurity Reserve Champion, AQHA World Show Amateur Working Cow Horse Top 10, 11.5 points AQHA. Truckin Like Chic - won $6,245: NRCHA Intermediate Open Hackamore Classic - 4th, AZ RCHA Fall Open Futurity - 4th, 30.5 points with 1 ROM AQHA. Elvis is currently available for breeding.